Here are some of our highlights from each. 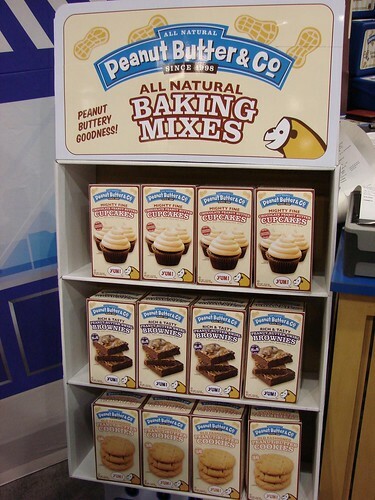 Our friends at Peanut Butter & Company are going to be launching new peanut butter baking mixes towards the end of the summer. The Peanut Butter Brownies were fudgy and delicious. Speaking of mixes. 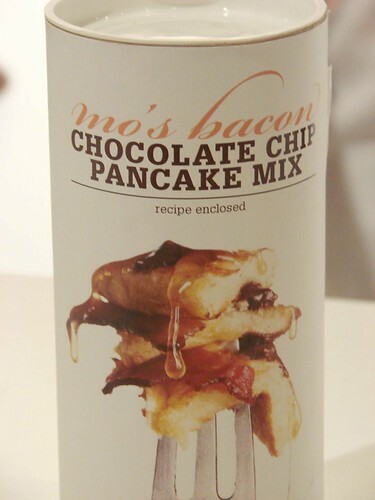 Vosges Chocolate now not only has a new Mo's Bacon Bar in Dark Chocolate but also a Mo's Bacon Chocolate Chip Pancake Mix. Breakfast perfection. 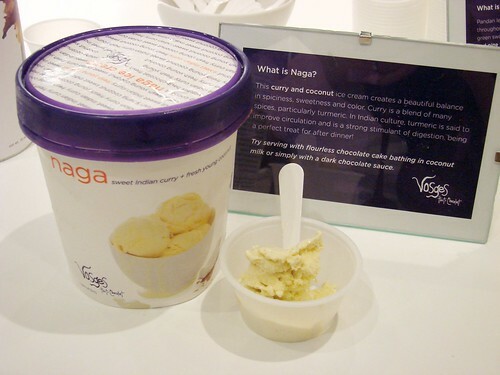 It was hard to step away from the Vosges and before we did we had a change to try their Naga Ice Cream, a blend of coconut and curry. Amazing. Completely different from any ice cream I've ever tried. Blondie was exited to hit the Chobani booth and try their brand new pomegranate yourt. Loved the crunch of the real pomegranate seeds. This should hit grocery shelves in two weeks. 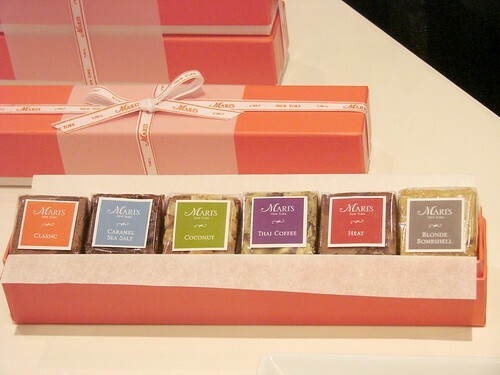 And how could we resist Mari's Brownies? Luxurious and rich these brownies are a cut above. 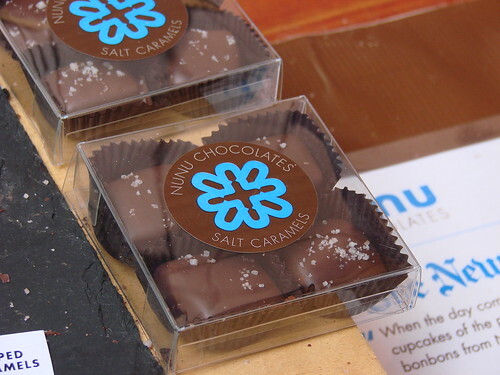 Their Caramel Sea Salt has the perfect balance of chewy caramel, fudgy chocolate and Cyprian sea salt. 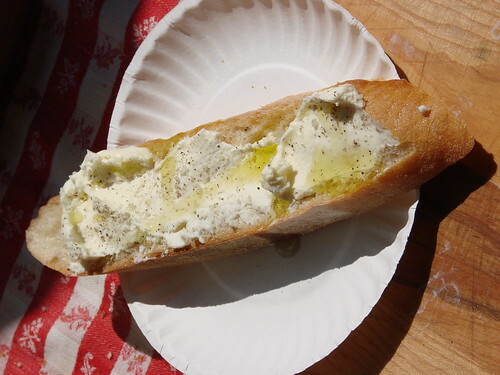 Next stop, Williamsburg for the UnFancy Food Show. 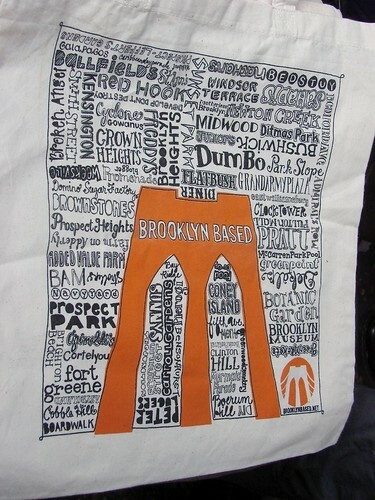 Had I not been down to my very last dollar I would have picked up one of these awesome Brooklyn Based tote bags. Fortunately you can order them online. Lawman, are you reading this? Of course we had to hit the Van Leeuwen Ice Cream Truck. By late afternoon a number of the flavors were sold out. No problem. We'll take the strawberry! 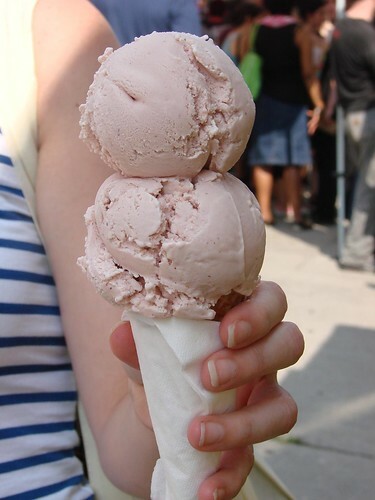 This week Van Leeuwen is going to be launching Earl Grey Tea flavored ice cream from their trucks--they now have 3! Made with organic & fair trade tea from Rishi. Can't wait to try it. To keep apprised their whereabouts follow them on twitter. 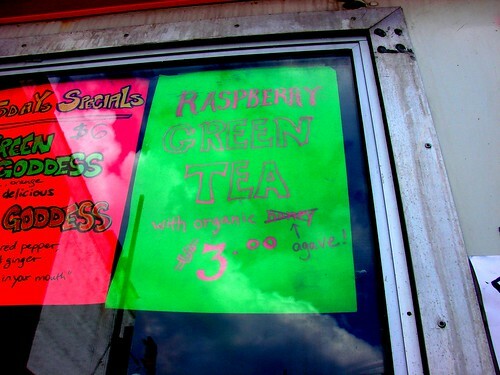 Probably one of the most refreshing things we had all day was the Raspberry Green Tea sweetened with Agave from the Green Pirate Juice Truck. 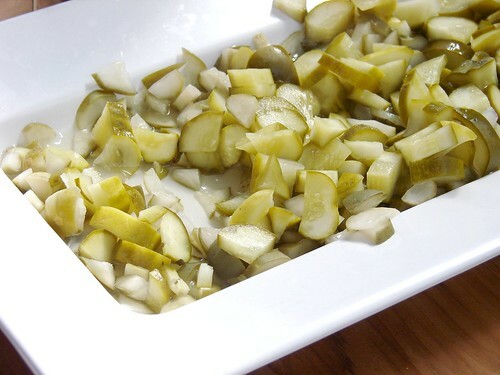 Perfect for the hot and humid summer weather. With empty wallets and full tummies Blondie and I ended our day as ever good summer day should end...ice cream cone and iced tea in hand walking home with a friend. 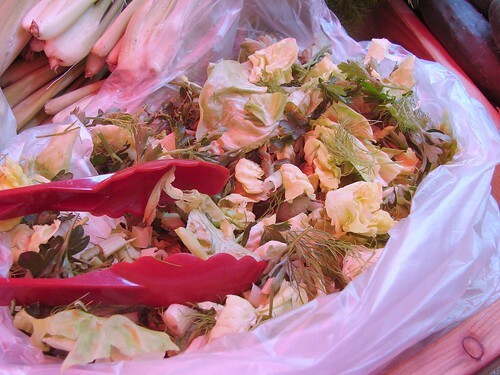 For more photos of Fancy and UnFancy Food check out our flickr set. You guys are troopers! I spent almost the whole day at the Fancy Food Show and still didn't see everything! But I got lots of pics. 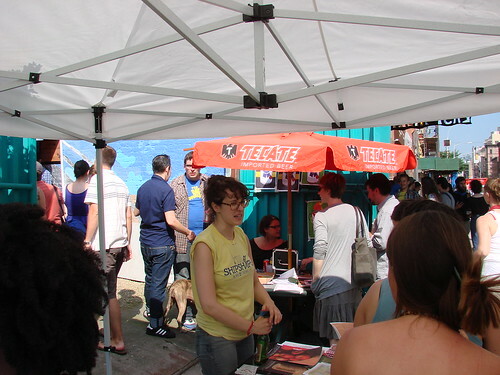 Glad to see the UnFancy show was good, when I went last year it was pouring rain so I had to cut it short. 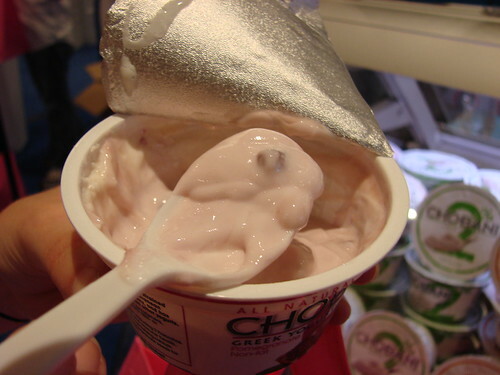 I love chobani. When will the pomegrante version come out? Ha, next year we should meet up at the FF Show. I was there Sunday too. I hate to complain, but did you actually try the bacon pancakes? I thought they were so ordinary. I could see a piece of bacon, but i wasn't impresse, and you know I don't really complain about stuff in my blog. But at the other Vosges booth, the bacon toffee... omg that was good. I'm already a fan of their curry ice cream, so I didn't try it again this year. I tried some sake sorbet and cabernet sorbet at the Wine Cellar Sorbet (made in Bkln...) and loved that too. I guess I tried some other good things, but those were the highlights for me. I didn't have any time left for the unfancy show though. 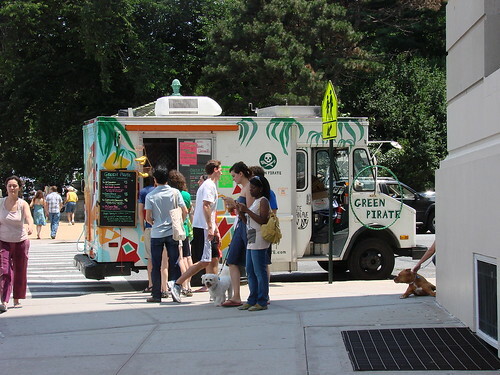 when will van leeuwen icecream truck start serving milkshakes? 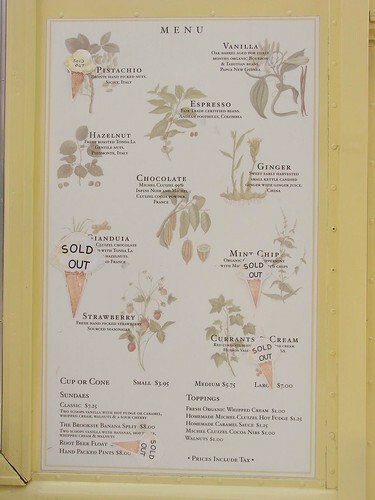 Murrays Cheese over on Bleecker St. is serving them on their menu...They only have two flavors, chocolate and vanilla.